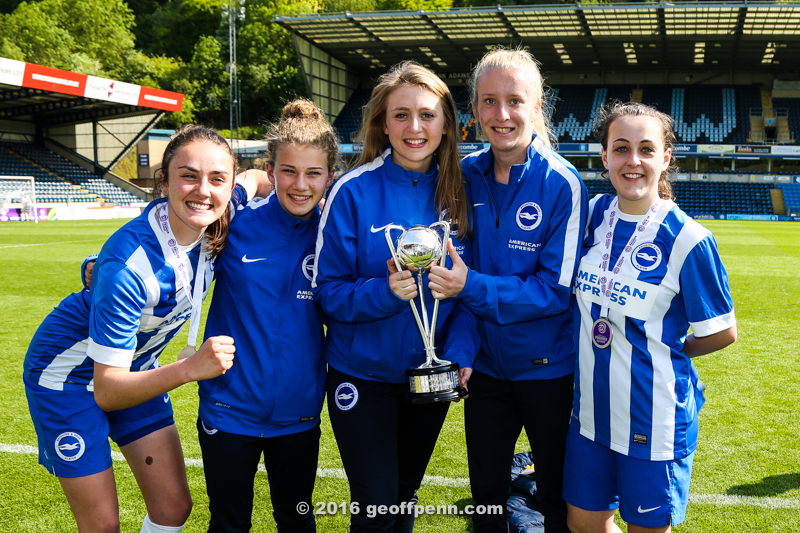 Brighton Women’s Team Win Promotion! 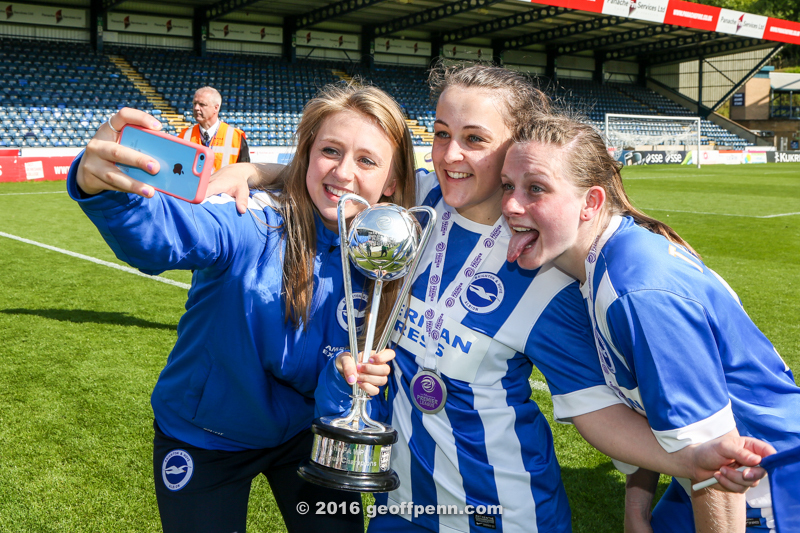 Regular readers of my blog will already know that I absolutely enjoy taking photos of the Brighton and Hove Albion Women’s Football Team doing what they do so well. 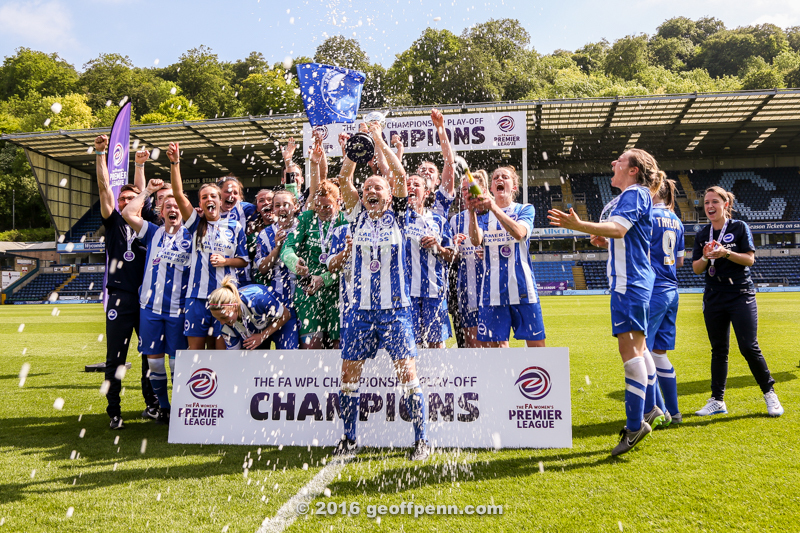 In the 2015-16 season the team became the champions of the Women’s Premier League South, which entitled them to play the champions of the Northern division – Sporting Club Albion – in a playoff match. 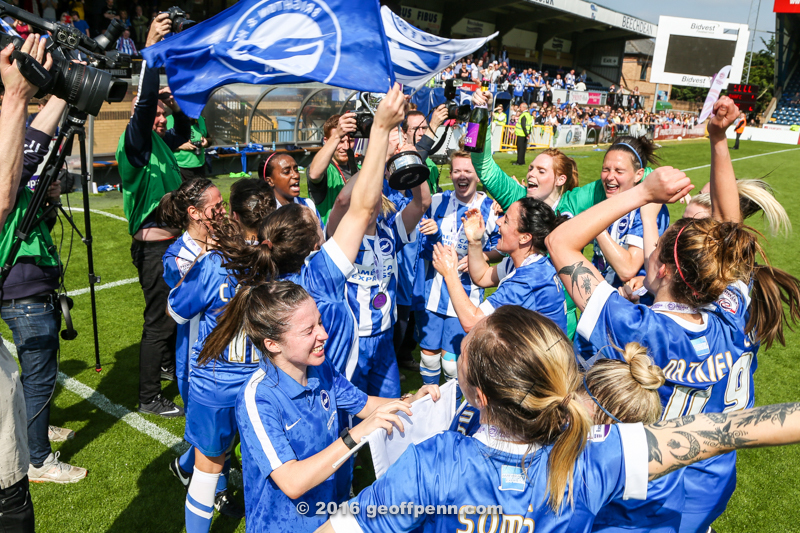 For the winners – promotion into the Women’s Super League, for the losers – another season back in the Women’s Premier league. 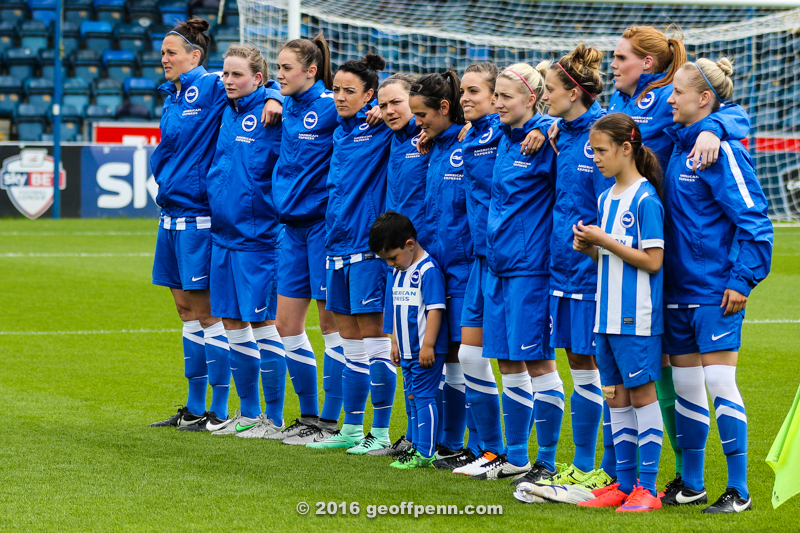 Brighton won 4 – 2 in an exciting match. 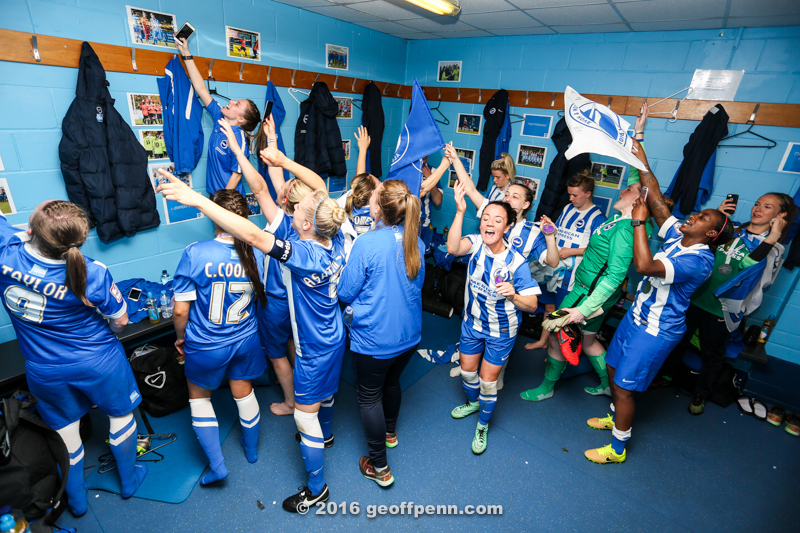 The action photos appear elsewhere on this website, but here are a few photos of the players enjoying the moment. 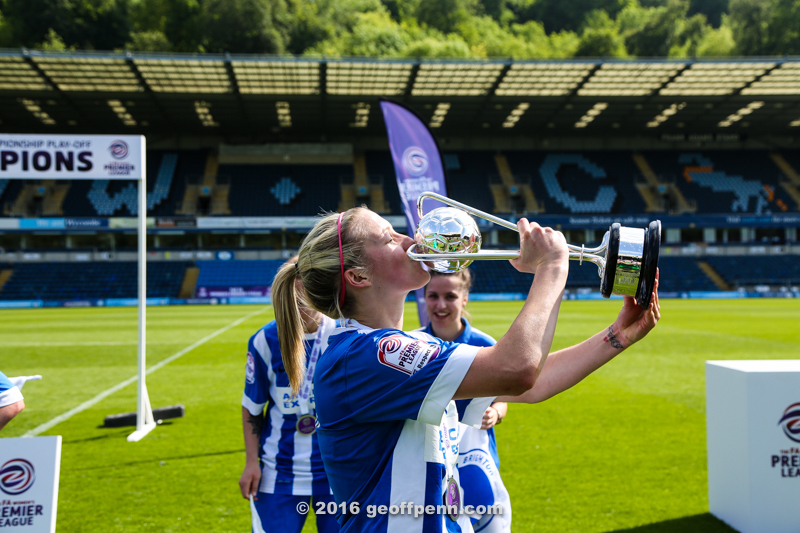 Sports shooters – I have written a short article explaining how to create a droplet in Photoshop, and unleashing its speed in Photo Mechanic. 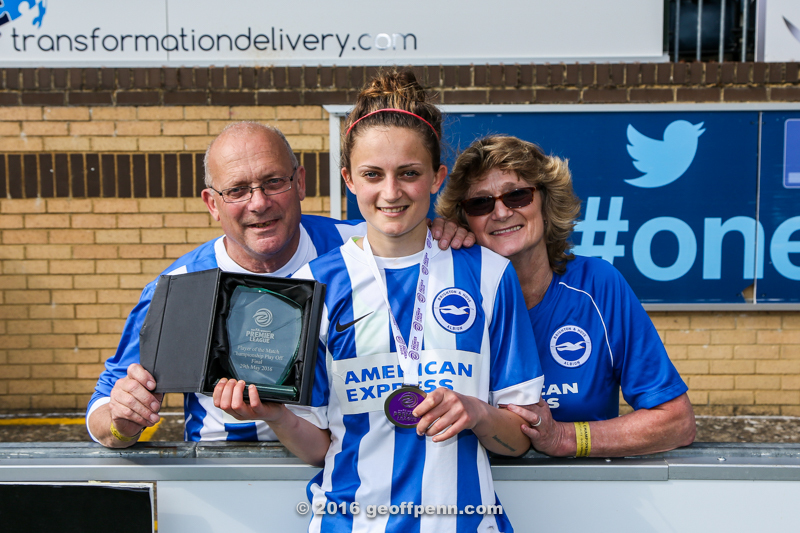 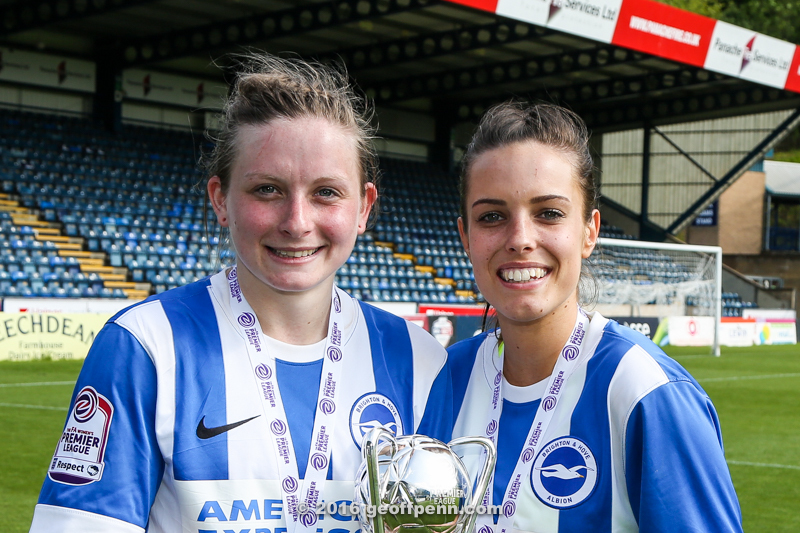 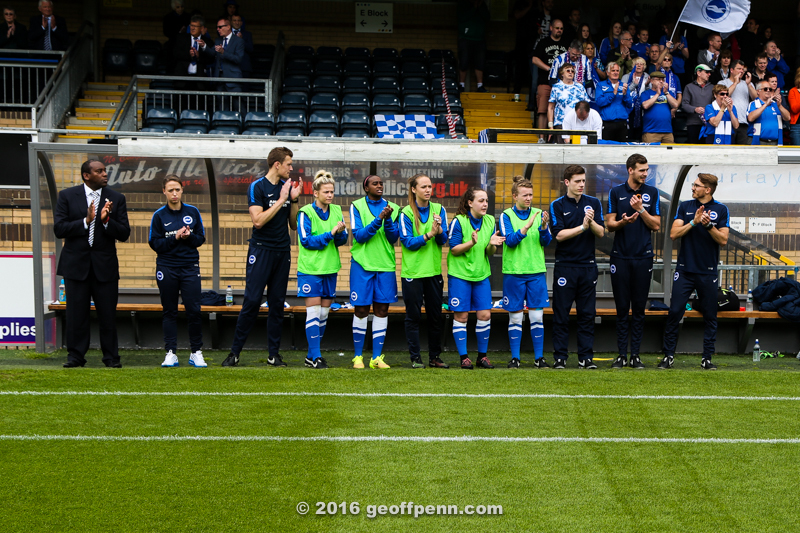 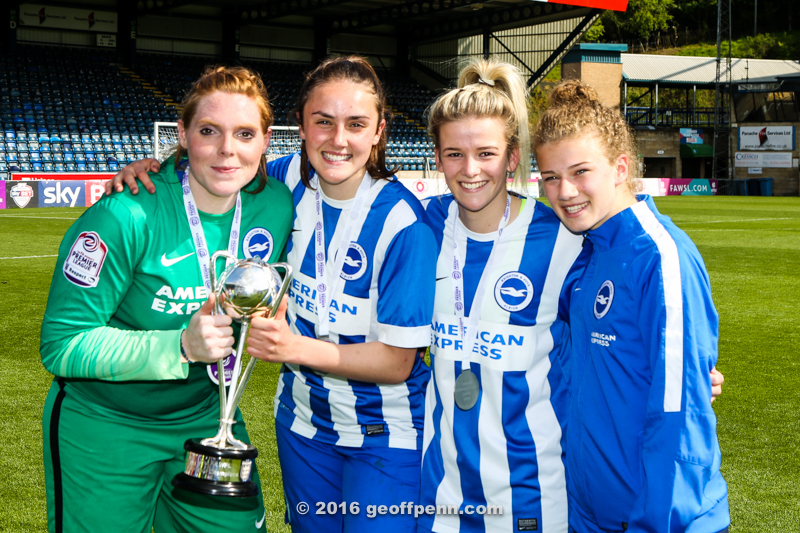 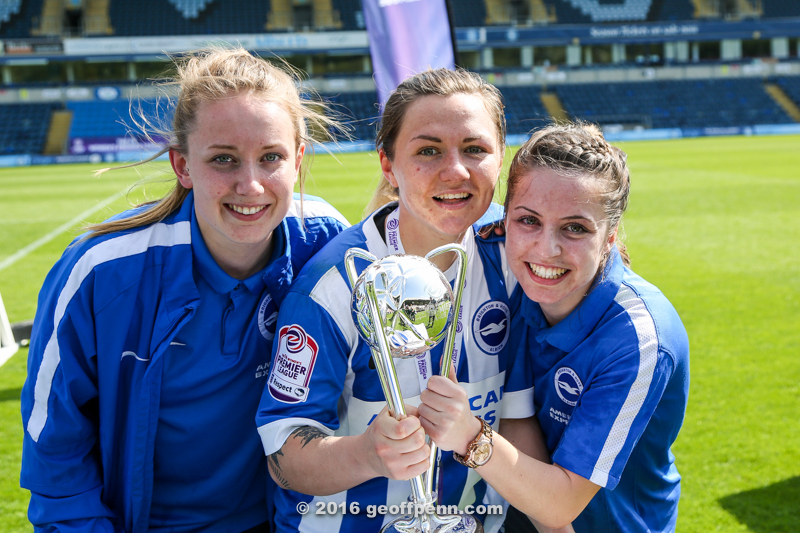 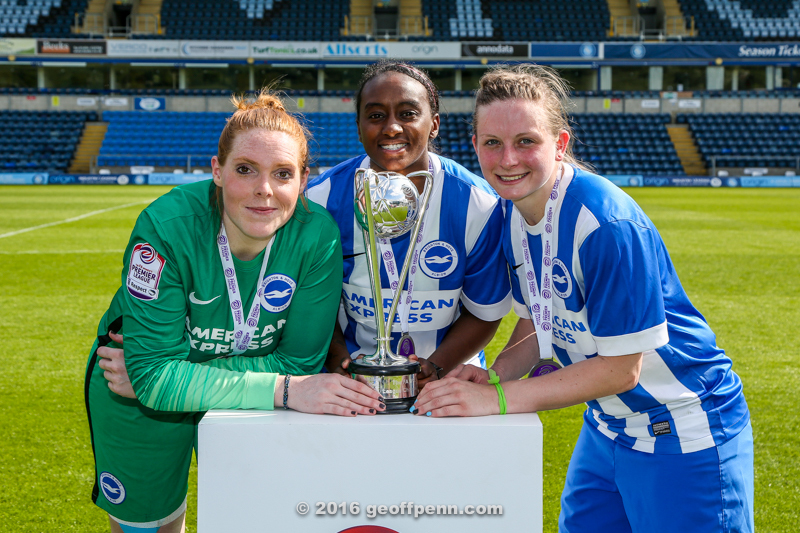 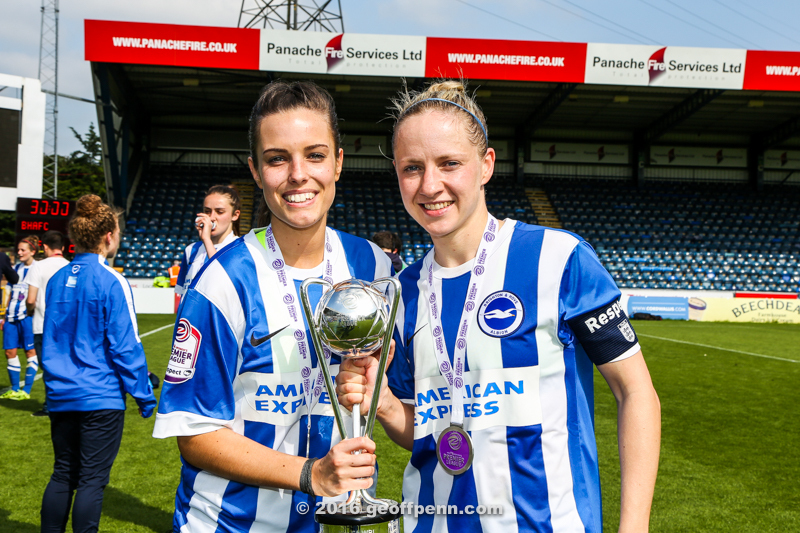 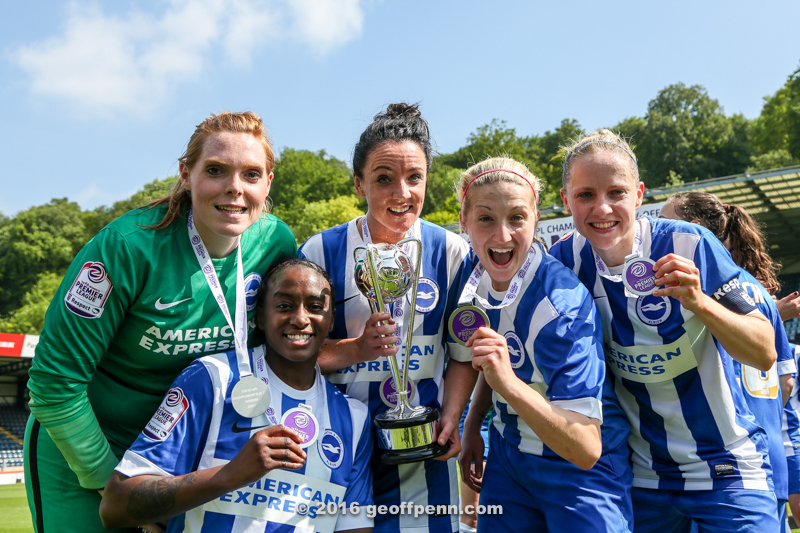 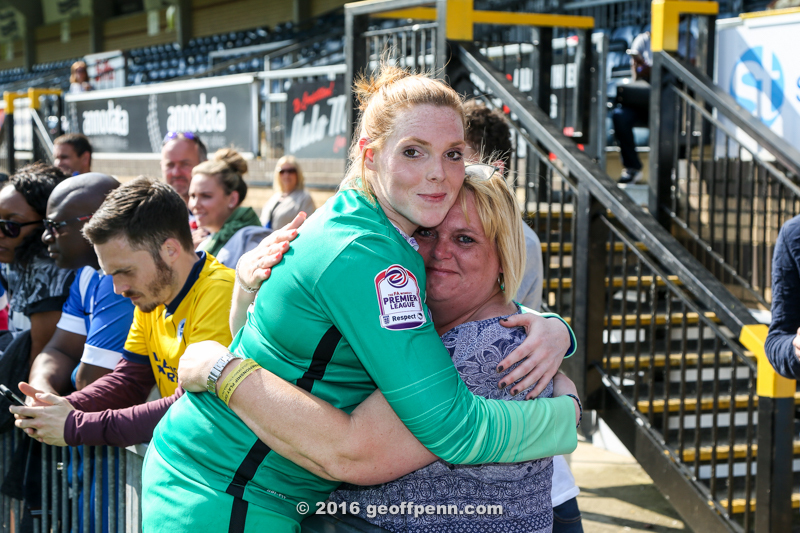 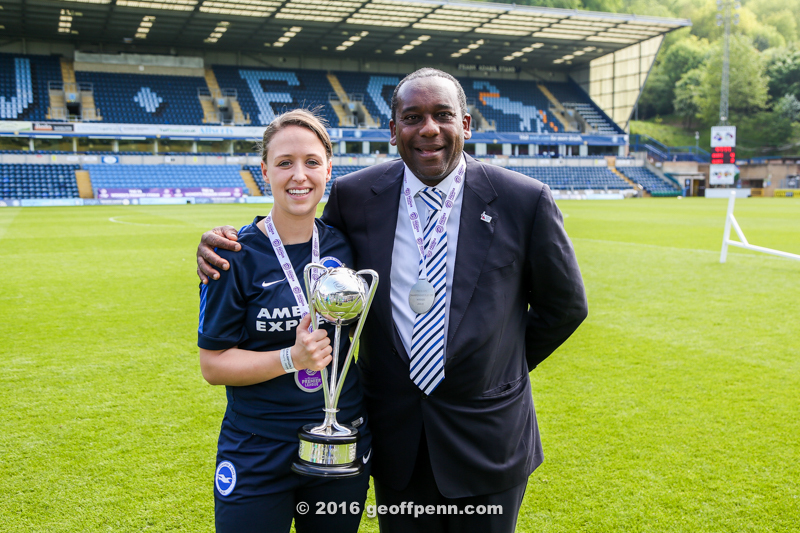 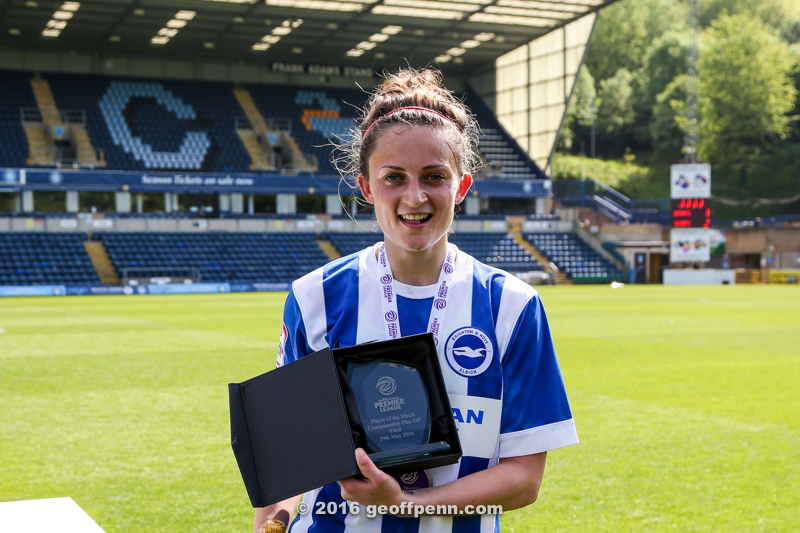 Brighton and Hove Albion Football Club asked me to provide my top ten photos from the Womens 2014-15 season, with a little background to each. 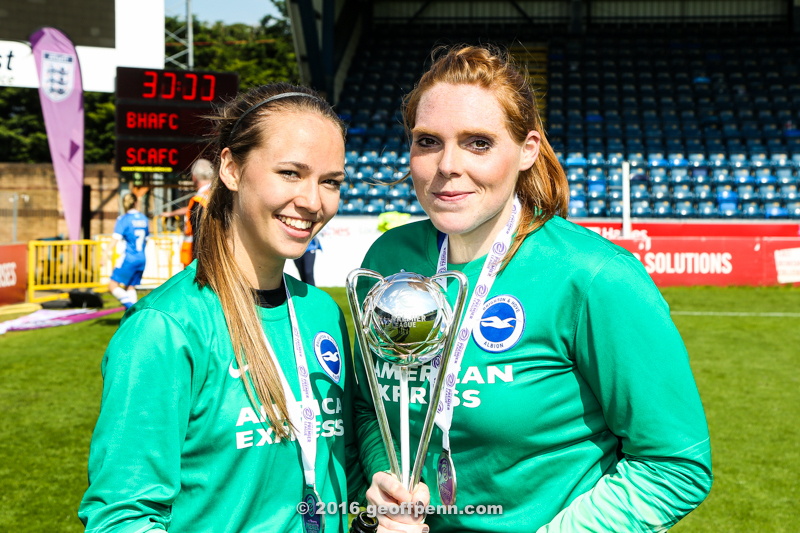 The photos – and my explanations were put on the Seagulls website. 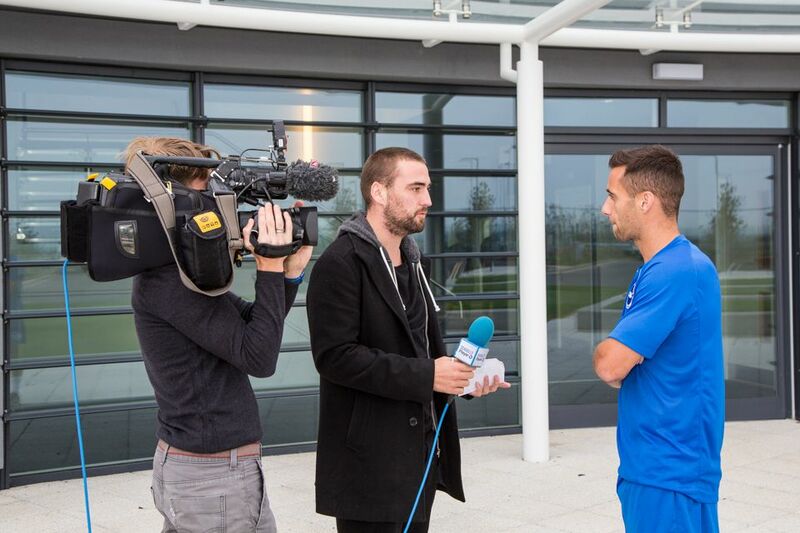 It is always nice to see one’s work in print, especially when they are used by three newspapers all on the same day! 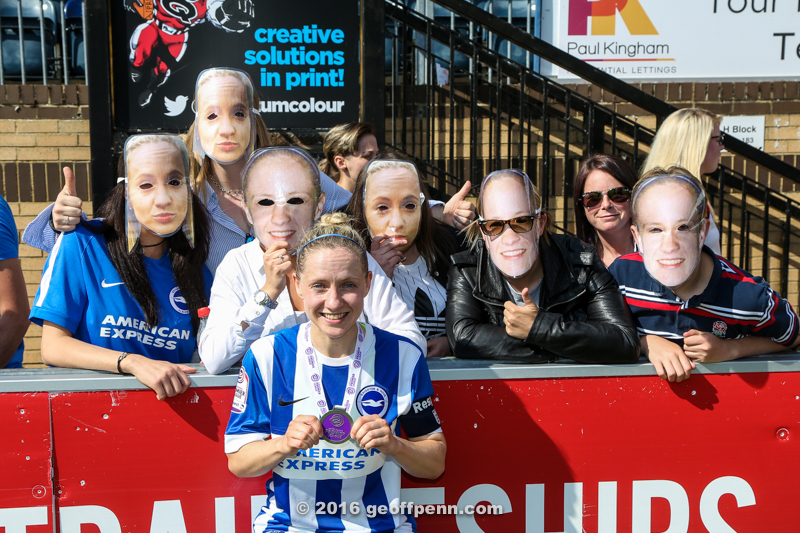 Here are some quick snaps of the pages containing my photos of the Brighton & Hove Albion v Derby County match, published in the Independent, the Mirror and the Sun, via Pro Sports Images. Published in The Sun, Wed 4th March 2015. 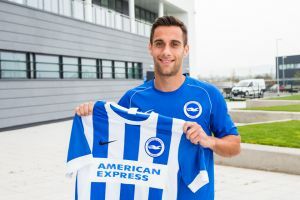 Published in The Mirror, Wed 4th March 2015. 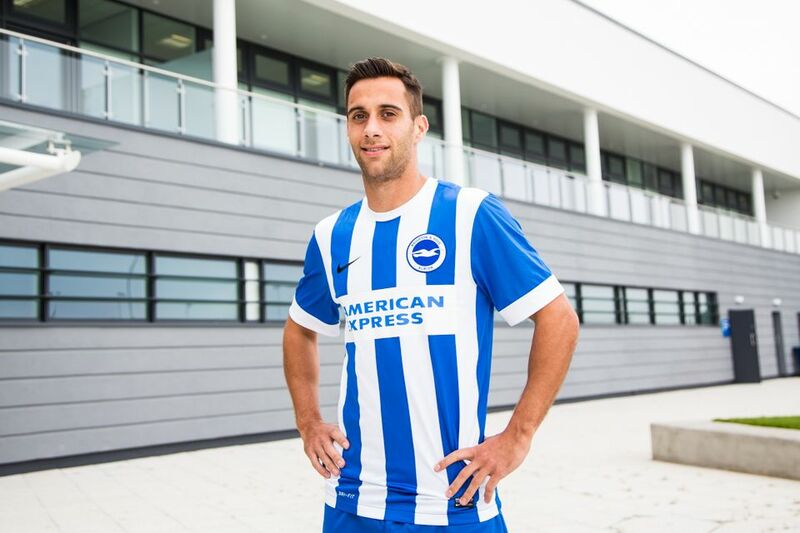 Published in The Independent, Wed 4th March 2015. 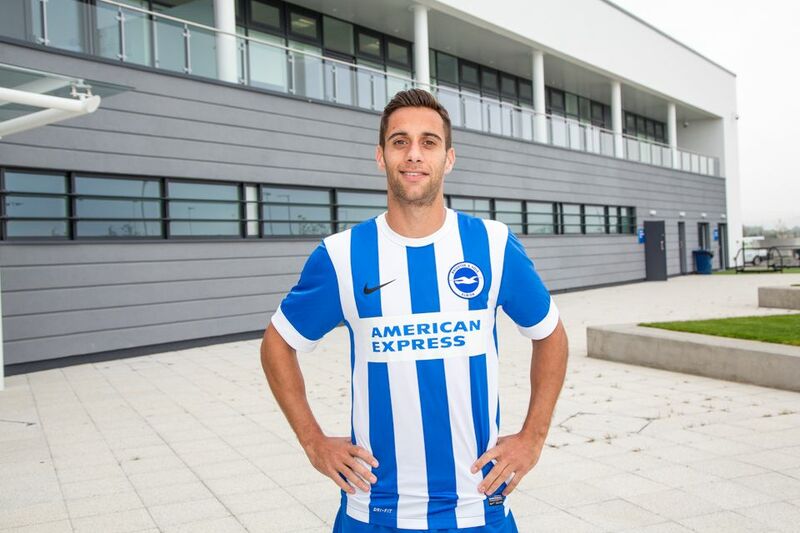 Earlier today, Brighton and Hove Albion signed striker Sam Baldock. 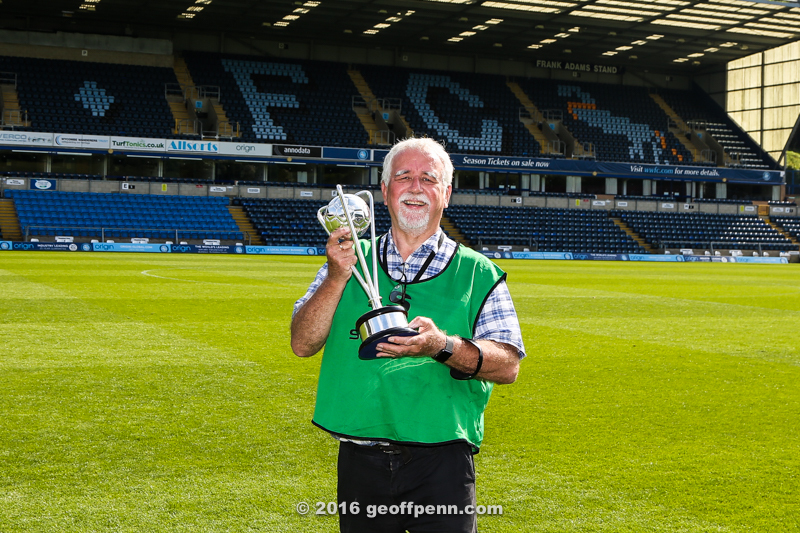 As a club photographer, I was asked to take the photographs of Sam as he joined the football club.